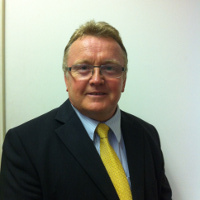 Universal Security is delighted to announce the appointment of Russell Tomlinson to the new position of Operations Director within the Company. Russell brings a wealth of experience having spent many years operating at the highest levels within the security and more recently FM space. Russell teams up again with Chief Executive Rob Platais: they had previously worked successfully for some 16 years building that business and collecting The Guarding Company of the Year Award at the Security Excellence Awards and achieving at the time one of the highest SIA Approved Contractor scores. Rob comments, ‘we see a clear benefit to our clients and employees through the opportunity to harmonise Russell’s in depth and broadly based skills and experience encapsulating every type of security scenario to Universal’s established business. Our objective at Universal is to build a specialist security business employing the best qualified practitioners who enjoy working with clients and staff to provide a truly valued boutique service’.